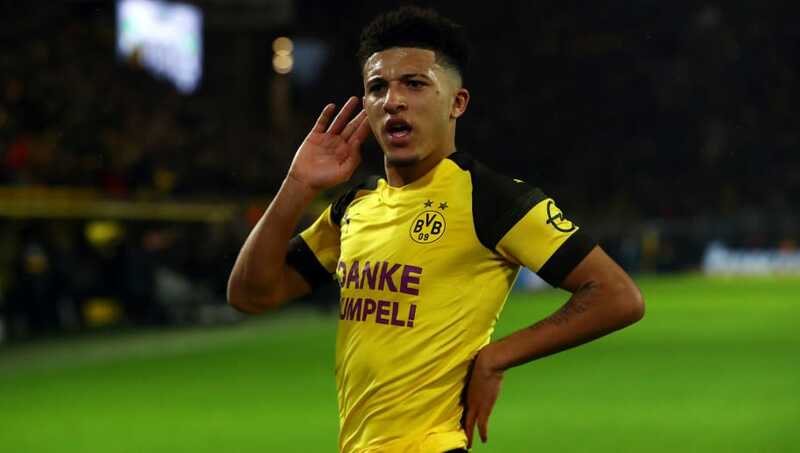 Borussia Dortmund winger Jadon Sancho has revealed that he rejected a new contract offer from Manchester City to join BVB, due to the Bundesliga club's history of giving young players a chance in the first team. Sancho joined Dortmund in August 2017, after deciding to turn down the chance to stay with three-time Premier League champions Manchester City, who he joined in 2015 from Watford. Speaking to ​FourFourTwo, Sancho stated his reasons for making the bold decision to leave Eastlands for pastures new in Germany: “Why Dortmund? It speaks for itself: youngsters get opportunities. "It was crazy how many clubs wanted me – it shows how well you’re doing, but I always felt Dortmund was right for me." The 18-year-old Englishman has, however, admitted that there was never a guarantee of immediate first team football upon moving to Germany, stating that he has had to work hard in order to work himself into manager Lucien Favre's plans at Dortmund. “Of course it was a big risk. I wasn’t guaranteed playing time, and I had to prove I was good enough to fit in with their side. A few people weren’t sure when I first told them about Dortmund, but I felt this was the best journey for me. Just try it, you know? ​Sancho has featured in every Bundesliga game for BVB this season, making 20 league appearances, and scoring six goals, helping Dortmund to sit top of the Bundesliga, seven points ahead of second placed Borussia Monchengladbach. The Englishman has also made five appearances during the club's Champions League campaign, chipping in with a goal as Dortmund topped their group to secure their passage to the last 16, which will see Sancho return to England to face ​Tottenham Hotspur.